Mattel announced its latest product this morning, in slight collaboration with Google, a modern View-Master toy based off of the Google Cardboard design. Utilizing Google’s vast gallery of photosphere pictures, Mattel plans on sending kids across the world right through the new View-Master, allowing them to fully immerse themselves in new experiences, while also learning a thing or two. Set to go on sale for just $30, the View-Master for the next generation hooks up to your phone, and also comes with “Experience Reels.” These reels are what contain the learning aspect of the new toy, and when paired with the official app, kids will learn and take tours of a space shuttle, the Eiffel Tower, and much more. 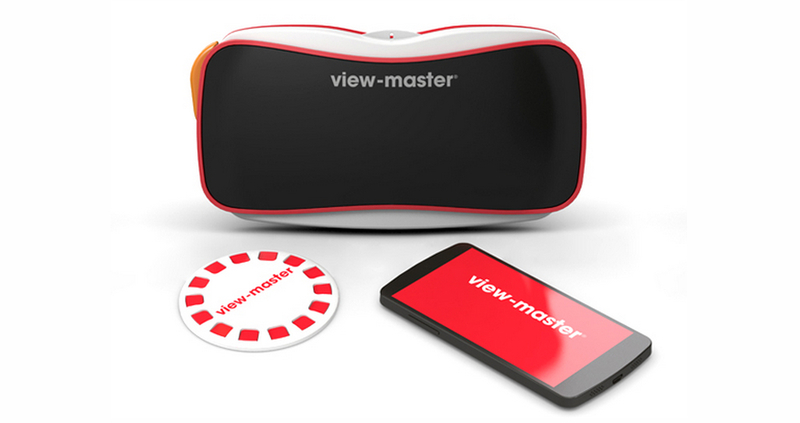 The new View-Master is scheduled to release in the fall, priced at $29.99, then $14.99 for each additional Experience Reel.